It's finally happening. 2x Carrier Aggregation was found in the wild today on the Sprint network! We have been receiving reports for the past several months that second B41 channels were appearing all over Sprint-land, but nothing about finding them being aggregated together. That changed this afternoon. 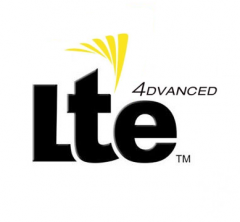 It was discovered today by an S4GRU Member in the Atlanta market that Carrier Aggregation is live on LTE Band 41 (TDD LTE 2600). S4GRU Member Camcroz was able to get his Samsung Galaxy S6 to connect to two B41 carriers simultaneously. Even with a medicore -108dBm signal while moving highway speeds, he was able to get nearly 90Mbps. Theoretical maximum for 2xCA on 20MHz TDD LTE channels in the time configuration Sprint is using is 160Mbps in ideal circumstances. We do not know the extent of how much is live in Atlanta or other markets. This may only have been a test and will be taken offline soon. Or it's possible that it is going live today in other Nokia markets, or maybe even Sprint-wide where two B41 channels are live. Camcroz reported to S4GRU he was able to keep B41 2xCA while travelling down Highway 400 near Avalon Mall in Alpharetta all the way across most of Atlanta, losing it as he approached the Hartsfield/Jackson International Airport where he ended up on Clear B41 single carrier. The picture below represents the member's findings. He reports that he had 94Mbps Down in his best test. He had to manually enable Carrier Aggregation himself on his GS6 using ##DATA#. Sprint devices currently have it disabled automatically. They will likely push an update in the future to enable it for customers. This is two 20MHz TDD-LTE B41 carriers connected together via Carrier Aggregation (noted as 2xCA). Sprint says it will not be until 2016 before they have devices released and the network prepared for 3xCA (three 20MHz carriers aggregated together). Let us know if you are able to find any 2xCA in your neck of the woods. Report your findings in the comments below or in an appropriate S4GRU forum thread. Viva la Carrier Aggregation!!! Previous entry (UPDATED) Use the 4th, LG. May the 4th Be with You. Can wait see 100 mbps. Each aggregated carrier is called a component carrier. The primary carrier is called the PCC (primary component carrier) and is the one where other carriers are aggregated with. Each component carrier aggregated with the PCC is called the secondary component carrier (SCC). In todays LTE releases the PCC provides both the downlink and uplink bandwith while the SCC adds additional downlink bandwith. So in sprints existing B41 configuration, each carrier have a theoretical max of ~80/17 so 2xB41 CA will have a theoretical max of about ~160/17 since only the downlink on the SCC are utilized and the uplink on the SCC is left untouched. 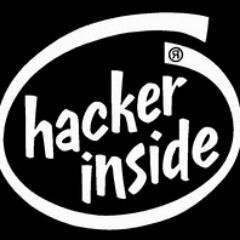 -- Current devices that support 2xB41 CA are Samsung Galaxy S6 / 6 edge, Samsung Galaxy Note Edge, LG G Flex 2, LG G4, and HTC One M9. Finally! still no second carrier sightings from ALU. I believe ATL is Nokia land. Also wondering if this was accompanied by 4x2MIMO. Not many, or possibly not any, Android devices show number of antennas received. However, we know the iPhone 6's do for B41. So it will take some B41 4xMIMO reports from iPhone 6's to verify. I thought the maximum theorical speeds for a 2×20 is 160/50 instead of 160/17.I guess I was mistaken then. Yeah like Lilotimz said, carrier aggregation is only for the downlink. I know in central Maryland, I've only ever seen 2 antennas listed on my iPhone 6 for Band 41...even on confirmed 8T8R towers. Yea, that's how it has been in the past. But this question was wondering if they have switched the 4x MIMO on in areas where 2xCA is live. We have not had reports from Maryland yet for 2xCA. But when it starts going live there, watch for 4x MIMO. Thanks. I don't recall it being said in any official capacity that Chicago will get 2xCA before anyone else will get it. But even that being said, this could just be a part of testing and not a formal fire up. Additionally, I would offer, if Nokia gets farther ahead of their Samsung counterparts in Chicago, would you hold them up from getting it going in Atlanta because it was originally planned to be live in Chicago first? Absolutely not. Sometimes some teams get ahead. And they deserve an atta boy for that. But really, here, we are lacking lots of details. We don't know the extent of all this currently. I have not seen any other reports from anywhere else yet. And I haven't even heard if the Atlanta 2xCA is still live today. I pulled down 94 yesterday in Milwaukee. I was surprised. That means I have CA too? Just got the LG G4, and noticed after it did PRL and software updates, it has CA enabled by default. Gotcha! Thanks...I didn't catch that the 4x MIMO was directly tied to 2xCA. I guess since my iPhone isn't 2xCA compatible, if I see 4x MIMO, that could indicate that it is live in my market. I think Maryland is lagging behind overall though, but I am certain that site optimization is happening as I type. looks like they are turning CA on. I have a coworker that just switched to sprint this week and he got the G4, i just checked it and CA was on. One of my other coworkers has a Flex 2, i checked his phone and CA was off, i did a profile update and checked again and it was now turned on. Nope. Upload is way too high. I will ask the guy for engineering screens. Upload Engineering Screen shots the next time that happens. What device are you using? Does it show CA Enabled in the ##DATA# menu? Thanks for the links. I see where you are coming from now. In context, I don't think it should be interpreted that it cannot be anywhere else as the same time as Chicago. It really is discussing how Chicago will be the first showcase city. The preeminent example. Likely meaning that B41 deployment, backhaul upgrading, and additional B41 carriers are so much farther along in Chicago, and Sprint is pouring out more resources there than anywhere else. It will be the prime example, and will be the first to be a compehensive example. I wouldn't interpret it to mean that markets that are ready to have 2xCA ready will be held so Chicago has exclusive bragging rights. Anyone reasonable would allow 2xCA to go live anywhere and everywhere it is ready, as soon as possible. Regardless of how ready Chicago is at that moment. I didn't catch that the 4x MIMO was directly tied to 2xCA. It's not. But both are independent functions that are still outstanding to be activated. So it is possible Sprint could be bringing 4x MIMO online now too. So we are just asking for reports to see if that ended up being the case here. 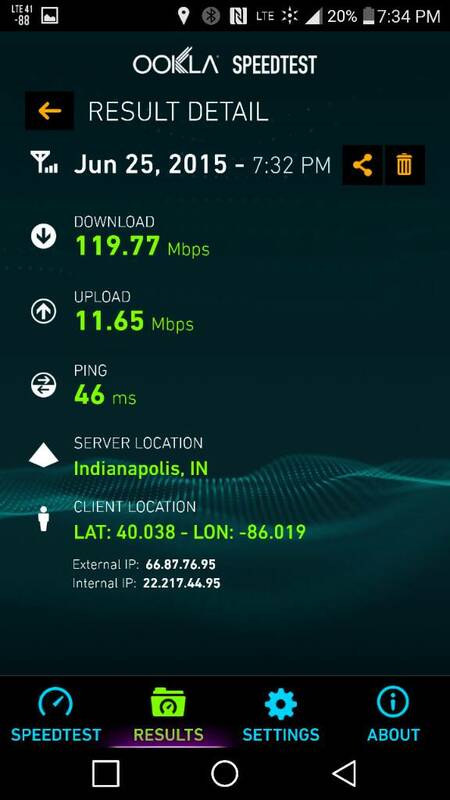 S4GRU Member in Indianapolis market found 2xCA and just hit 119Mbps. Can the S5 enable CA? I'm going to chicago this weekend and would like to do some testing for you all. Just havn't messed with S5 like I did the S3 i had.